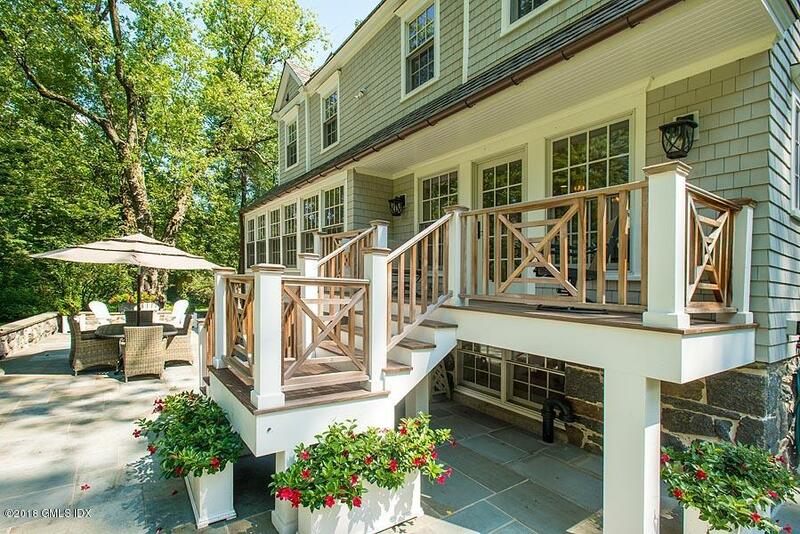 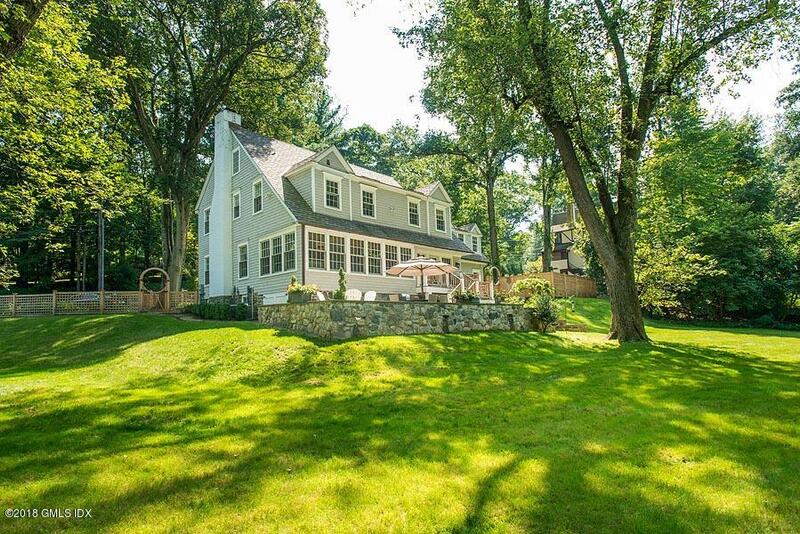 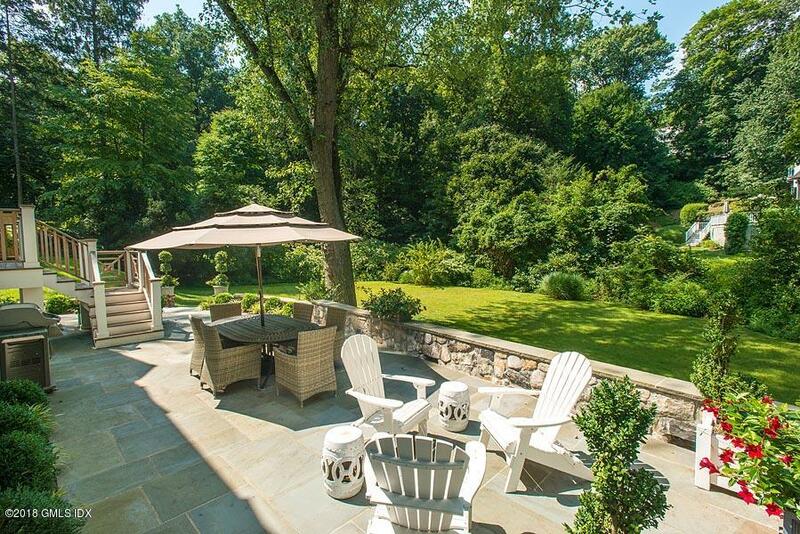 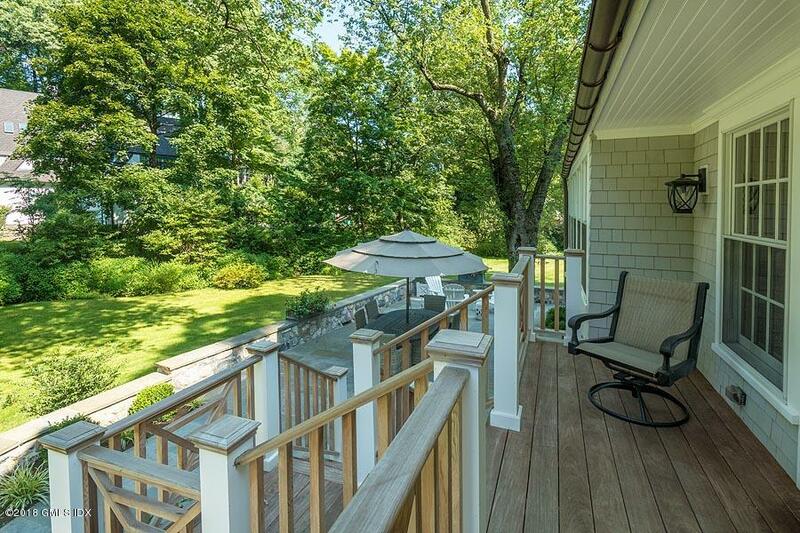 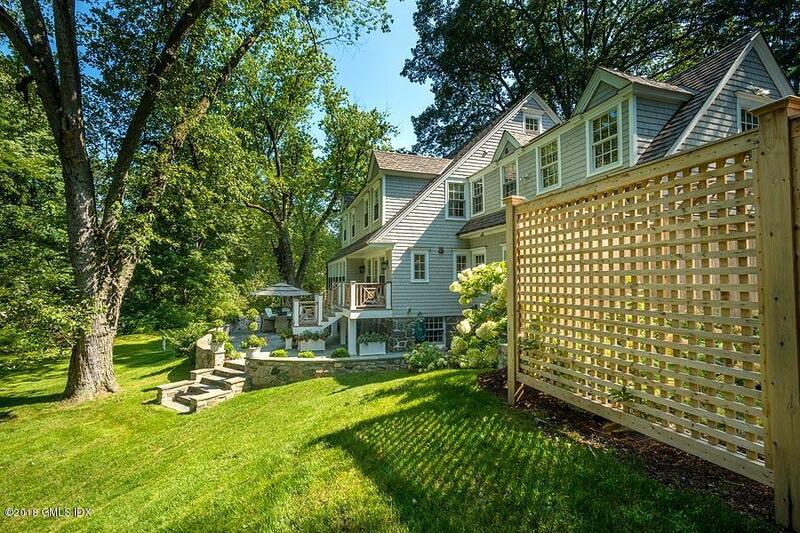 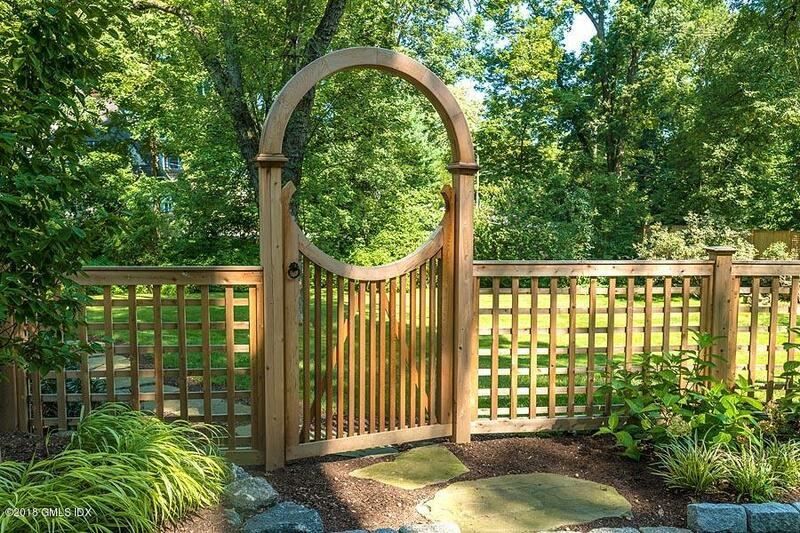 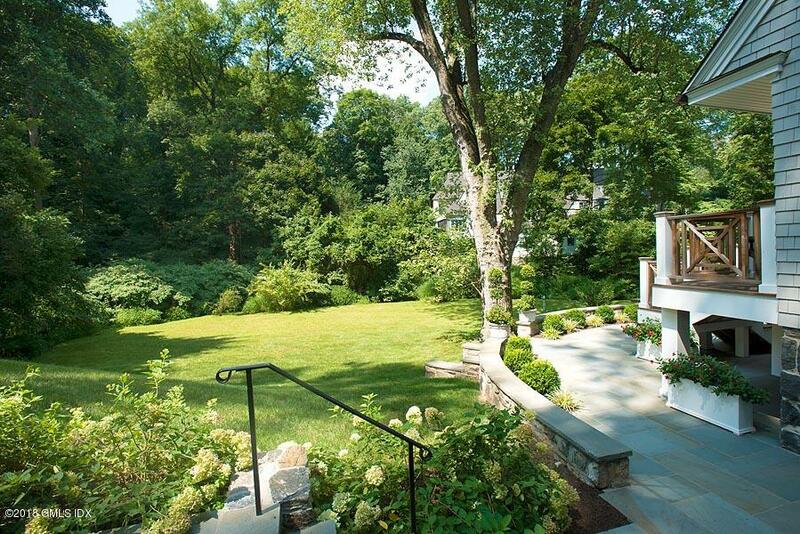 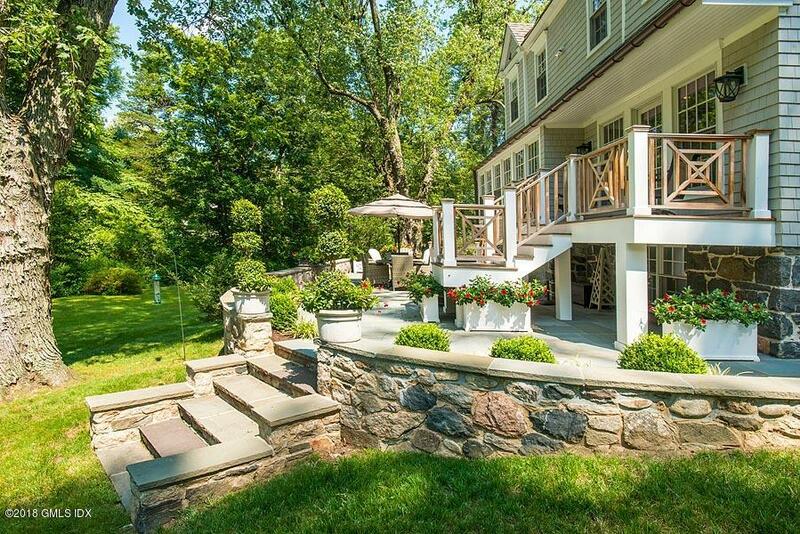 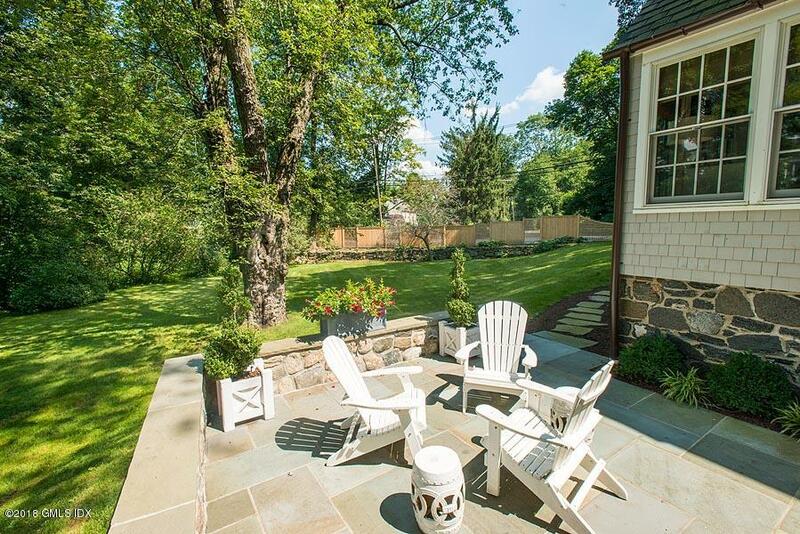 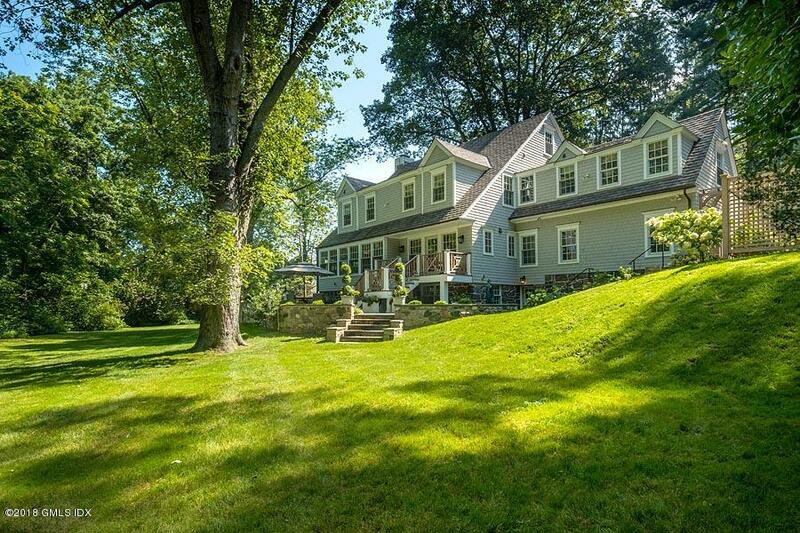 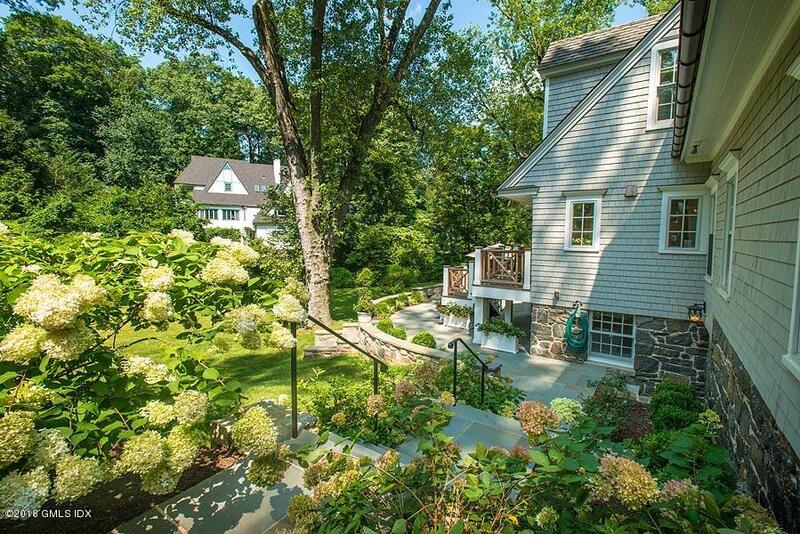 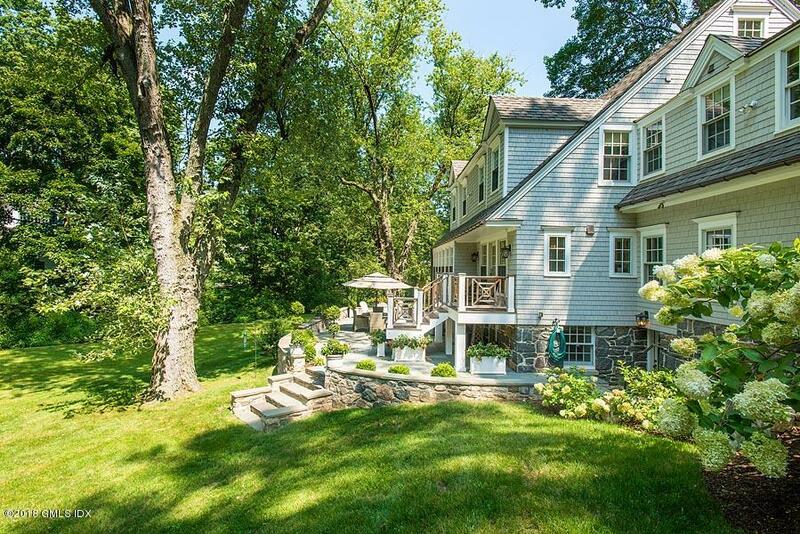 I am interested in 314 N Maple Avenue, Greenwich, CT 06830. 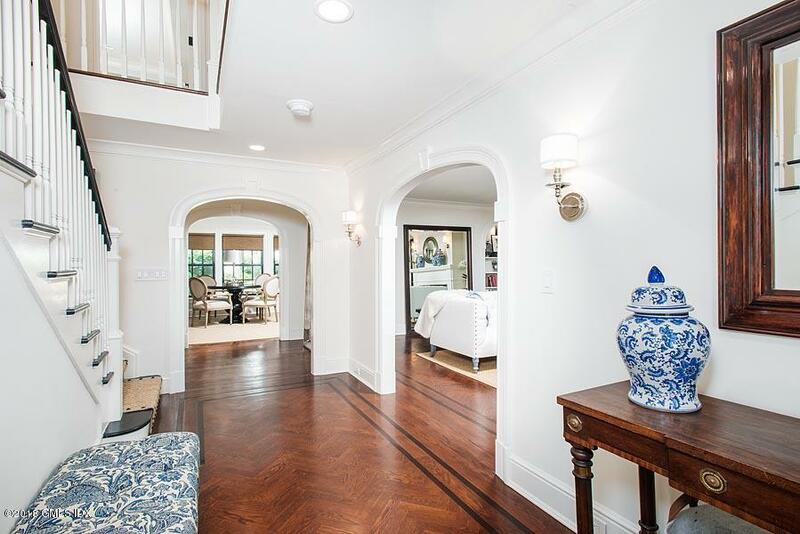 The double entrance curving driveway is lined by Belgian block. 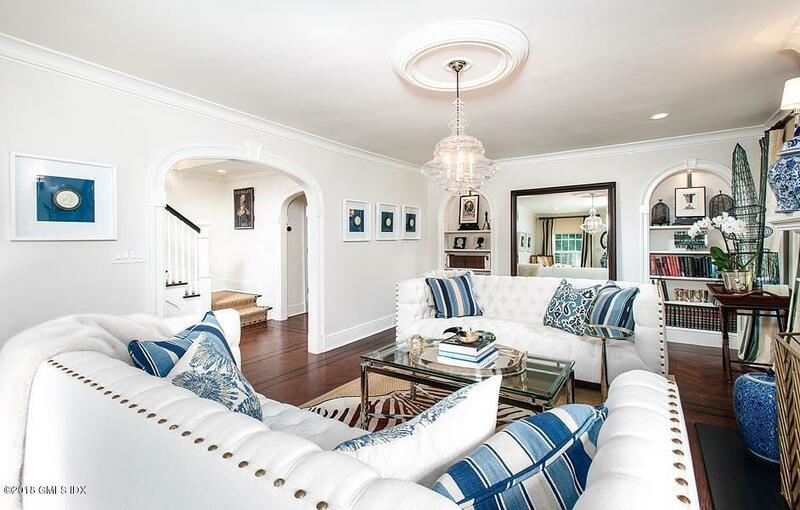 A beautiful columned portico shelters the handsome front door which opens to the two-story center hall with a bordered herringbone floor, a powder room and archways into the living room with a fireplace and arched display cabinets. 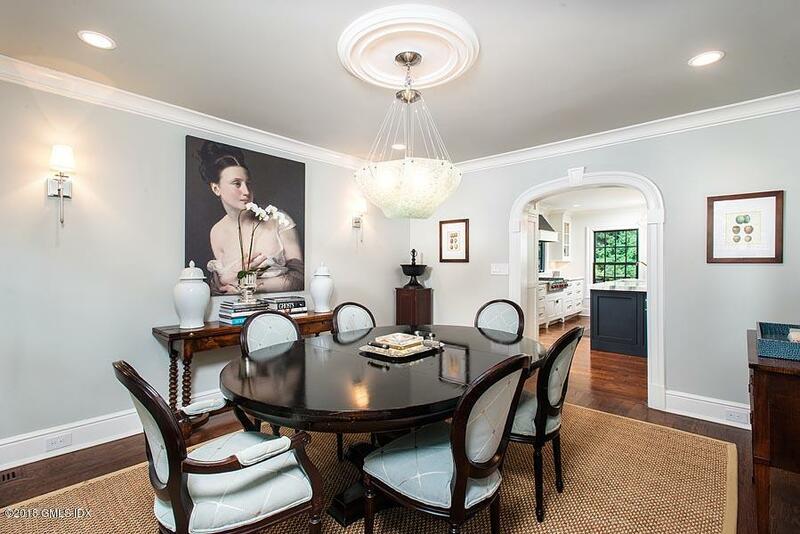 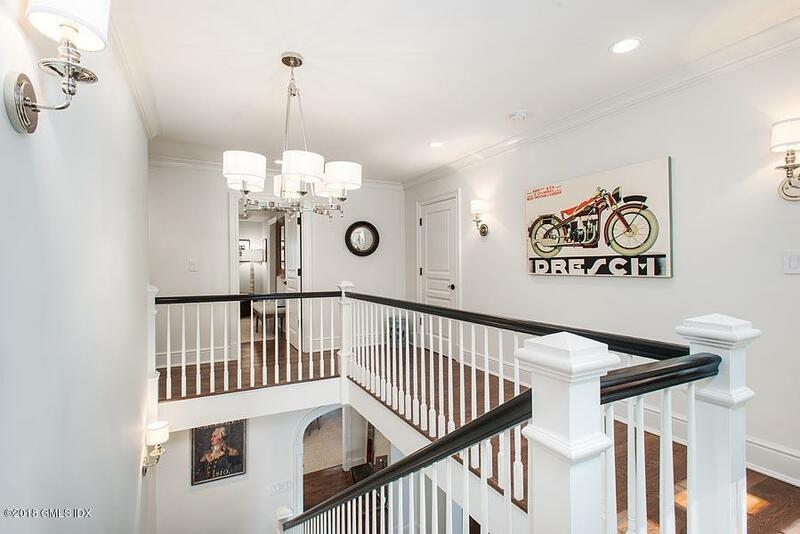 The elegant formal dining room, plus the informal dining area joins the superb new kitchen with direct access to the adjoining family room and a door to the reconstructed garage to fit today’s long and wide cars plus bicycles. 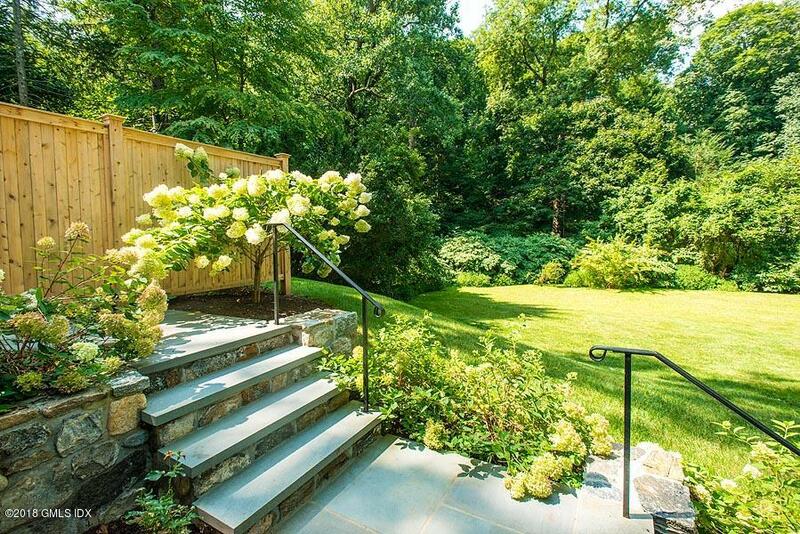 There is also a glass door leading to the beautiful new stone terrace with a sitting wall overlooking the open, level garden with beautiful planting. 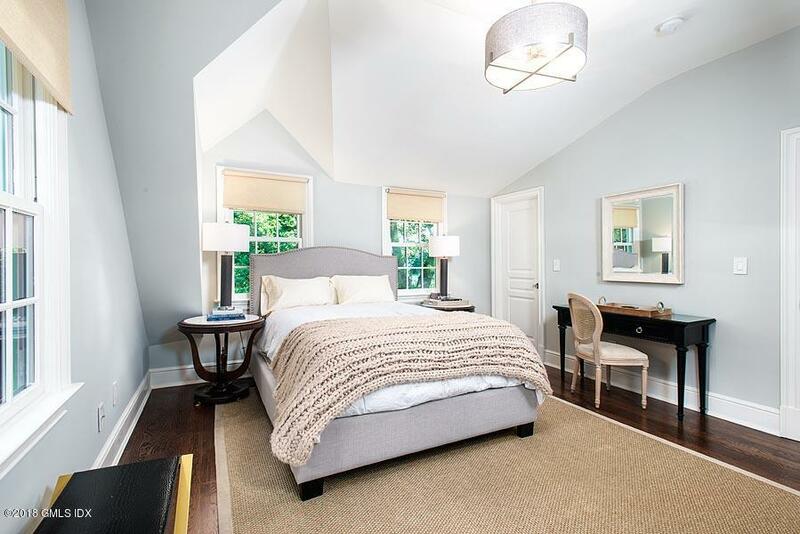 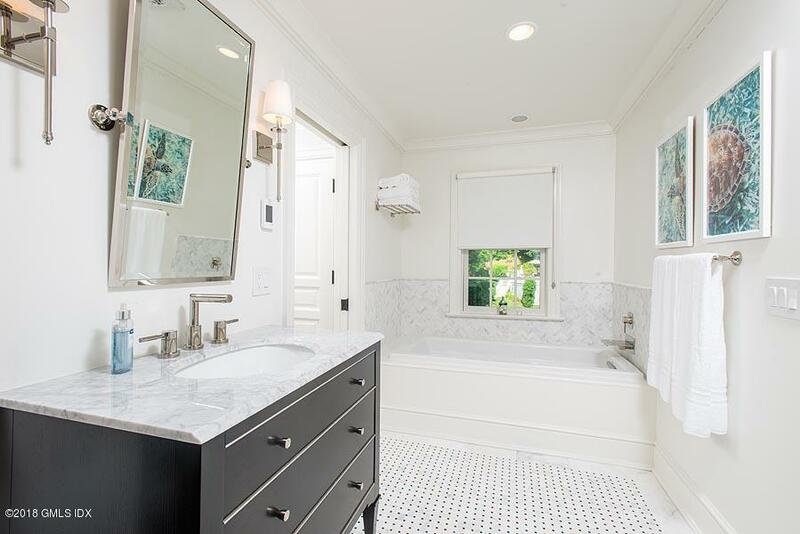 Upstairs is the sumptuous new master suite with a large dressing area, marvelous closets and a sublime bathroom with a luxurious tub and a separate glass shower. 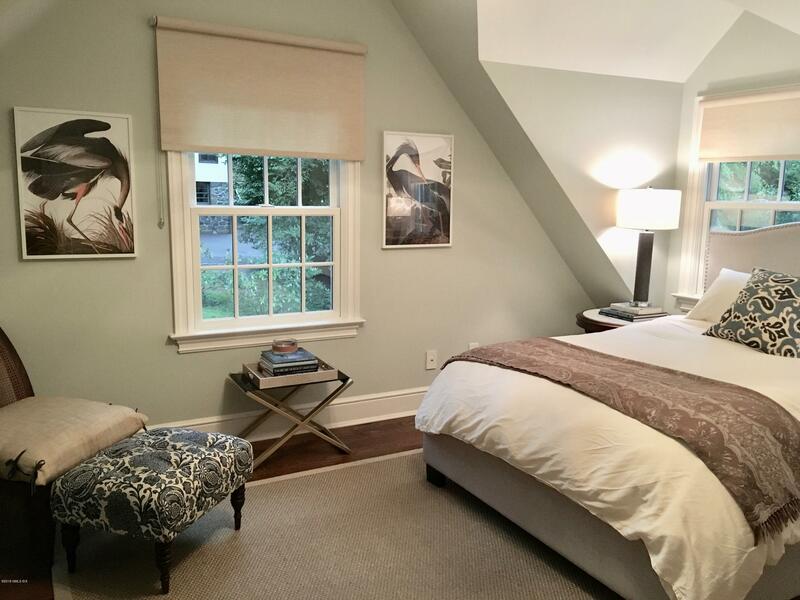 There are three additional bedrooms with three lovely new bathrooms (two of these are ensuite), plus a laundry room. 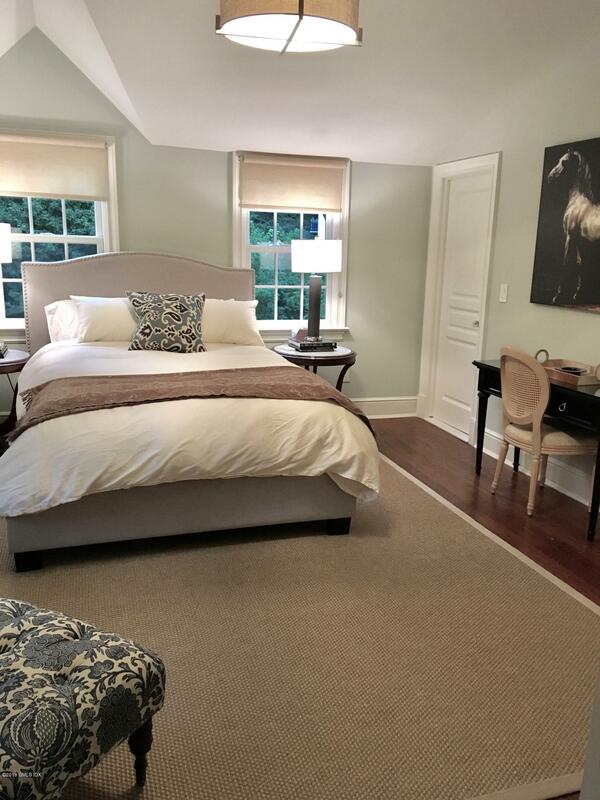 The third floor has a bedroom, a playroom area and another new bathroom. 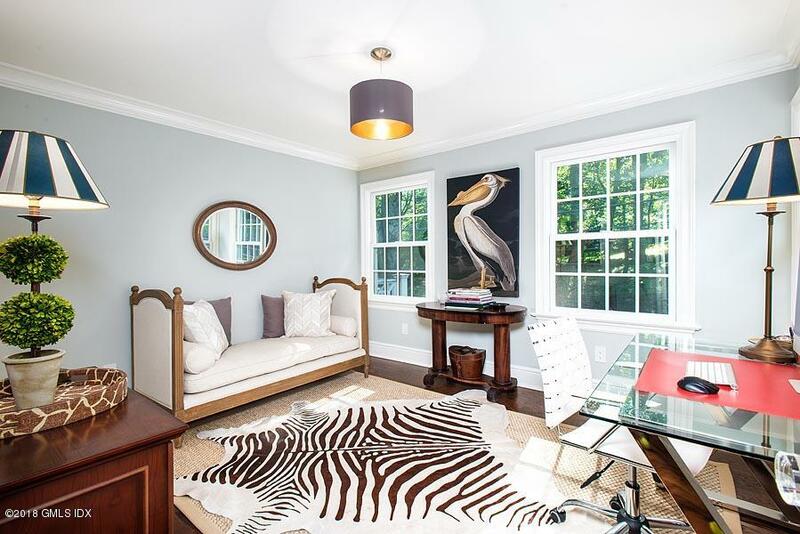 The lower level has a glass door to the garden from the nearly 800 square foot finished multi purpose room with a playroom area. 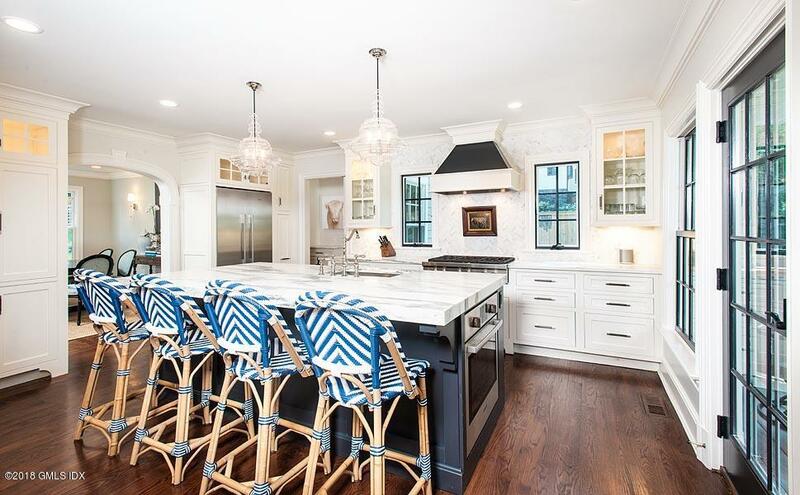 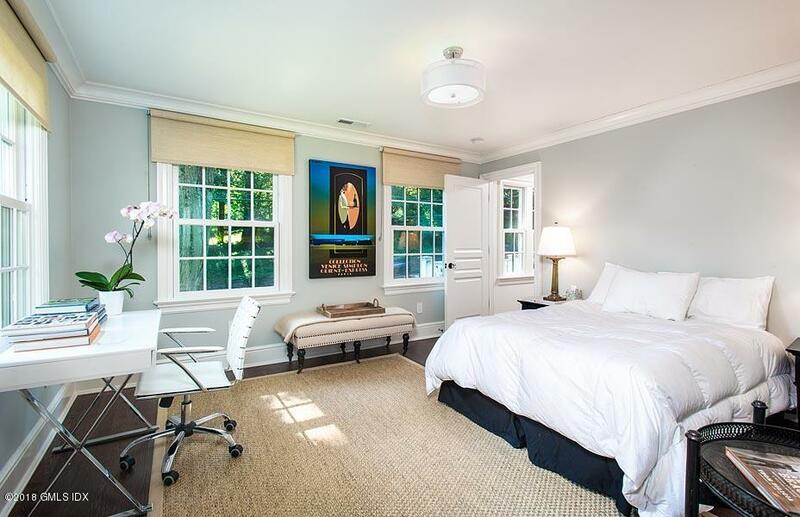 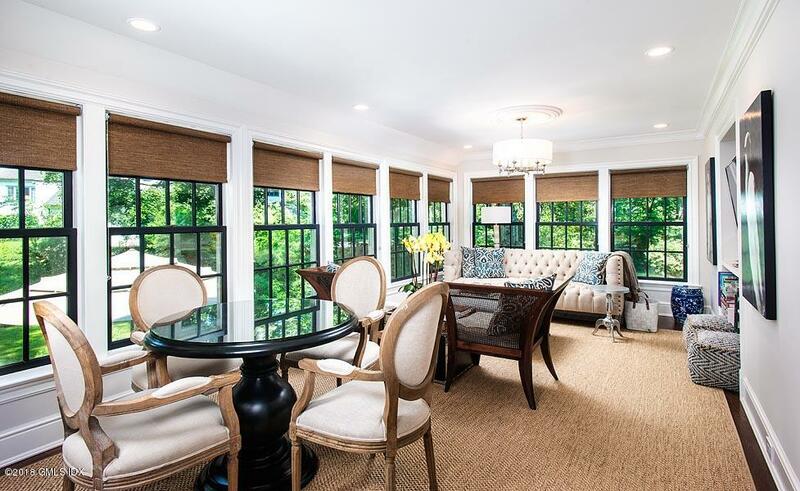 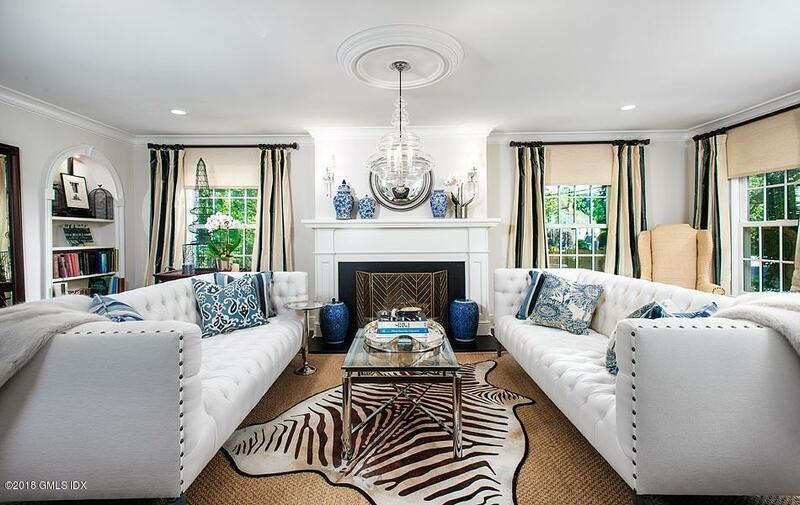 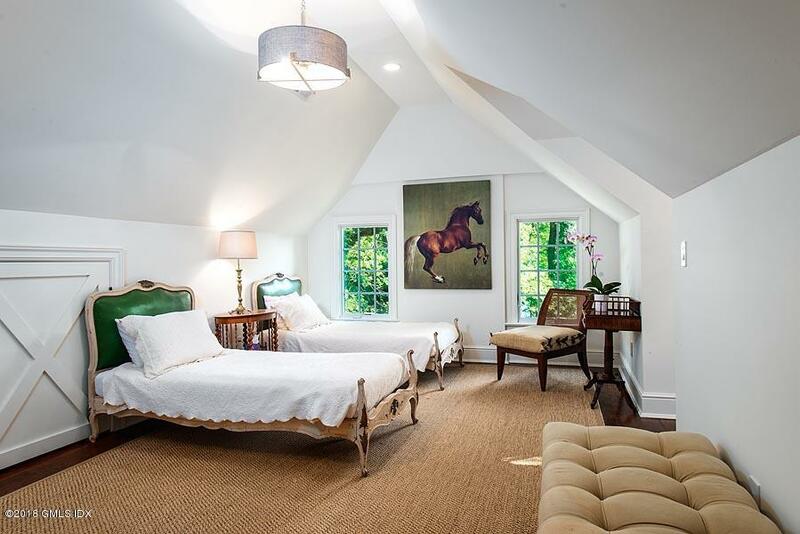 Totally rebuilt from original 1925 bones, this gracious center hall colonial on sought after in-town street is convenient to private and public schools, restaurants, shops and station. 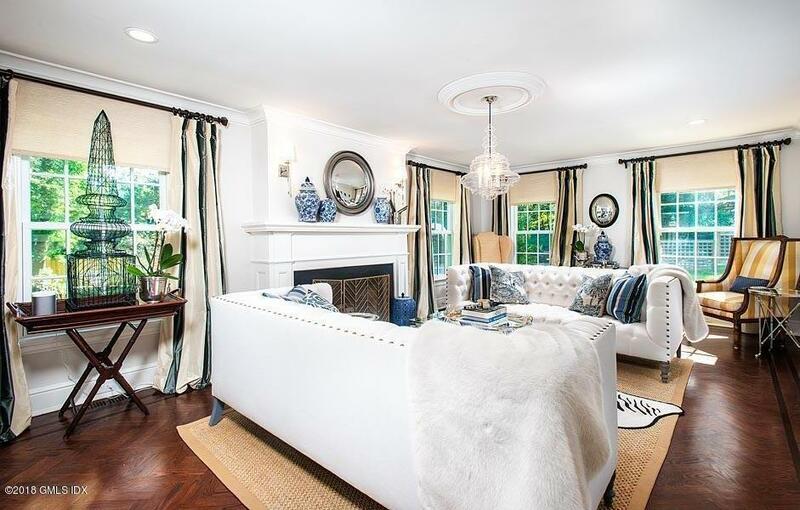 Generous living room with fireplace, built-ins and custom millwork. 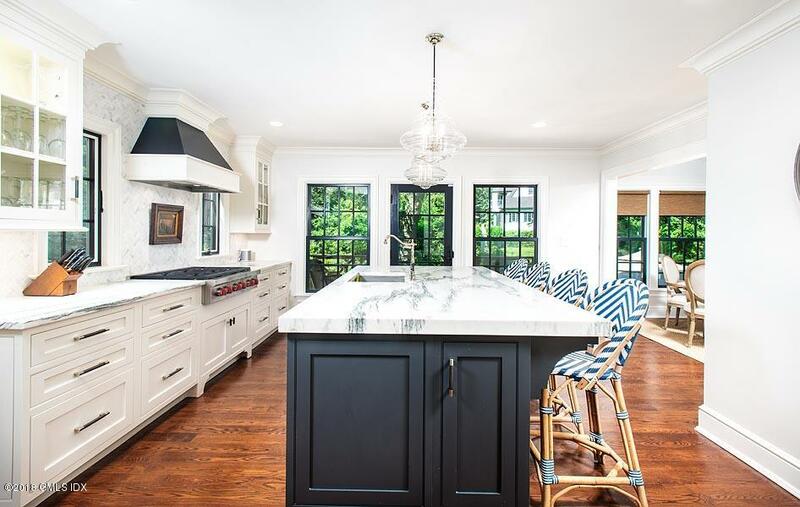 Beautiful center island kitchen adjacent to family room, formal dining room, butler's pantry and mudroom with own entrance. 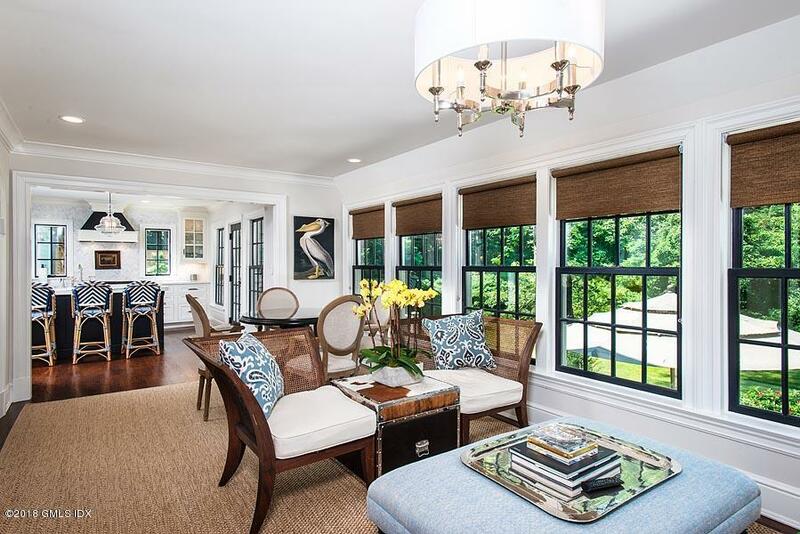 Multiple french doors opening to grand terrace and level grounds. 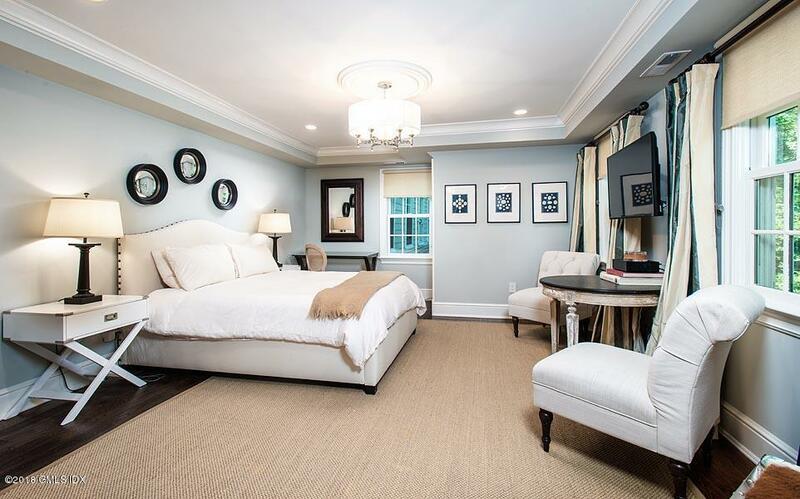 There is a master suite, dressing room, luxurious bath with separate shower.There are three bedrooms, 3 baths and a third floor with playroom/bedroom and new bath. 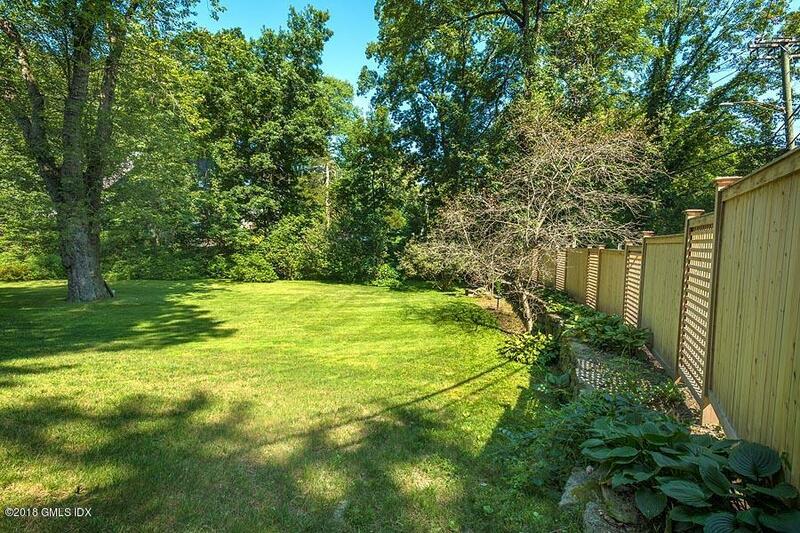 Square footage includes garage.